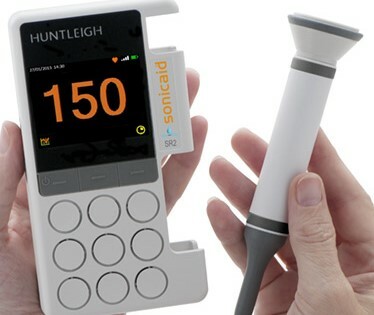 Huntleigh Sonicaid range of Fetal and Fetal/Maternal monitors deliver innovative world class obstetric solutions providing an accurate and clear visual status of the fetus and mother. The range is packed with features that provide cost-effective and reliable fetal monitoring throughout pregnancy. Designed to meet the versatile environment of the labour ward including high BMI, specialist or high risk care, as well as single, twins or triplet monitoring Huntleigh monitors give accuracy and clarity in every situation. Huntleigh’s range of digital, audio and desktop Doppler’s provide en-hanced fetal monitoring. The portfolio of digital handheld Doppler’s have been designed specifically to assist clinicians in improving out-comes and efficiencies in maternity care by providing a visual presen-tation of the fetal heart rate in numeric and trace views. 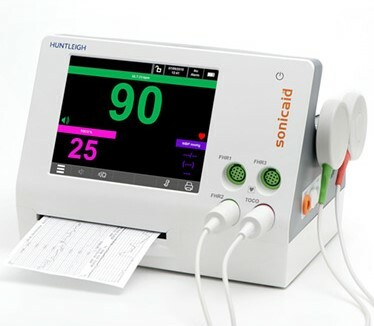 The state of the art digital Doppler units benefit from a high resolution display with integrated charging, connectivity and storage as well as dynamic digital noise reduction. Huntleigh’s CTG viewing and archiving systems provide real-time re-mote viewing of CTGS’s with computerized analysis allowing newly recorded CTG’s to be measured against the world renowned Dawes-Redman criteria for normality. The flexible operating platforms can be configured to a wide range of options dependent on clinical needs; from simple archiving and alerting to fully networked solutions with remote capability.